Founder and President of PHT International, Lihong Yu established PHT in 1993 to provide exemplary service and products to the chemical industry. Originally from Ningbo, China, Lihong holds Bachelor degrees in both English Literature and American Culture & Society from Beijing Foreign Languages University. 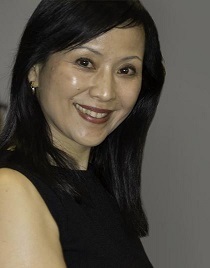 After spending many years as a sales manager at Sinochem, she founded PHT International. As a well-respected leader in the chemical industry, Lihong’s vision sets the path for PHT. Since our founding in 1993, PHT International has earned a reputation for being a reliable business partner, consistently going above and beyond for our customers. This underlying determination to become a trusted partner has become a core value of our company, and is the direct result of one woman’s vision. Founder, Lihong Yu’s unique set of experiences paved the way for our customer-centric culture. So while the company was founded in the 90s, our company’s inception began much earlier, starting with Lihong Yu’s personal experiences. Born in Ningbo, China, Lihong Yu was raised during the Chinese Cultural Revolution. Yu’s parents were exiled when she was six years’ old, leaving her in the care of her grandparents. During this difficult period, Yu took on the responsibility of managing the household budget to ensure the entire family could be fed. She sought, purchased, and negotiated her way into stretching the limited income, and her drive became the key factor to both her, and her family’s success. After reuniting with her parents and attending Beijing Foreign Studies University, she landed a supporting role at Sinochem Neheco, a Chinese conglomerate with expertise in the chemical and fertilizer industries. She used this position to watch, learn, and listen. When she felt she was ready, she asked for an opportunity to lead a negotiation. Once it was granted, there was no going back, and Yu went on to serve as a Sales Manager for a Sinochem branch based in Los Angeles. During the early 1990s Yu saw a gap in the United States’ east coast, chemical market -- noticing they were missing out on the benefits of working with the far east. With intention, drive, and $5000, Yu set out to establish PHT International in 1993. Setting down roots in Charlotte, North Carolina, PHT became a pioneer in bridging the east-west gap, and delivering cost-effective, high-quality chemical products directly to western companies. Focused on supplying only the most high-quality products, Lihong Yu ensured every product and package upheld PHT’s commitment to integrity. Year over year, her reputation for quality and reliability grew, and PHT became the company it is today. Her legacy of determination, drive, and integrity continues to move PHT forward. And each of our decisions are based on her resounding belief in the strengths of People, Honesty, and Trust. J. Michael Rigsbee had spent over 25 years as a senior accountant and CFO before joining the PHT community. As our CFO, Mike heads our financial and operations departments, driving efficiencies and ensuring smooth operations at PHT. As part of the Executive Leadership team, Tobi works to drive the planning, development, and implementation of strategic initiatives to increase PHT's business growth and operational excellence. Additionally, he is the Corporate Counsel and oversees the company's legal affairs. Jay brings 35 years of manufacturing and business operation experience to PHT. As our consultant for Project and Research & Development teams, Jay brings his valuable insight into our manufacturing operations and processes. Susan came to PHT with decades of experience in chemical manufacturing and distribution, working originally for a multinational company. At PHT, she manages all of the Chinese operations, and is based out of Shanghai. Ed has elevated PHT’s custom manufacturing platform by bringing us his extensive experience in custom development from a few multinational companies. Ed’s focus is delivering custom manufacturing solutions in pharmaceuticals and fine chemicals. Mark Comes to PHT with over 30 years’ experience in the chemical industry. As the Senior Vice President of Sales, Mark’s primary role is to determine our customers’ custom manufacturing needs and identify unique sourcing solutions. In addition, he oversees all activities related to our partner facilities. With over 17 years at PHT -- 15 in commercial sales -- Linda oversees all of PHT International’s sales and marketing initiatives, focusing on readily-available products.